Nihon Falcom is one of my favourite developers because they have a game design philosophy that miraculously caters to all of my preferences with laser precision. Nuanced characterization and world-building? Check. Attention to detail in NPC dialogue, user interface design, and player ability progression? Check. Some of the most rockin’, guitar-riffin’, violin-shreddin’ soundtracks in the business? Check and double-check. Between their work on action RPG progenitor Ys and the far-reaching Legend of Heroes series, Falcom has consistently created games that tend to quickly work their way into my personal hall of fame. Xanadu, on the other hand, has been largely absent for the last decade despite being one of the company’s earliest successes. 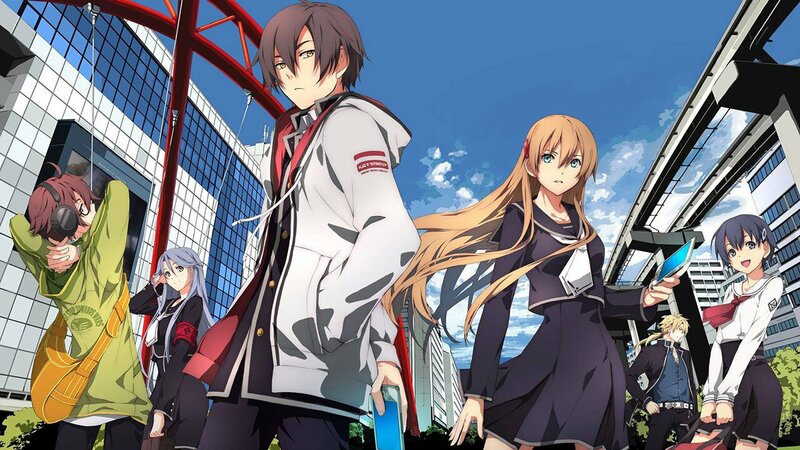 It returns now with Tokyo Xanadu, a modernized take on the classic dungeon crawler that initially seemed poised for excellence, but lags significantly behind its contemporaries due to a curious lack of personality. There’s no getting around Persona‘s clear influence on Tokyo Xanadu. The game takes place in modern-day Tokyo and stars a group of superpowered high school students who contend with a shadowy threat from another dimension. When not trawling through the labyrinths of the so-called “Eclipse,” aloof protagonist Kou has to manage a separate set of social stats (wisdom, courage, and virtue) as well as level up his relationships with his teammates through optional “friendship episodes” that play out like Social Links. 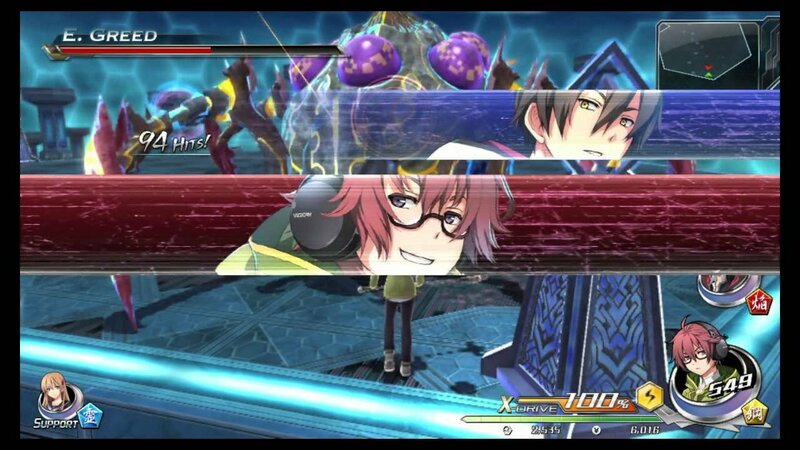 Tokyo Xanadu even runs in the same graphical engine as The Legend of Heroes: Trails of Cold Steel, a game that already borrowed liberally from Persona‘s social elements, turning the copycat factor up to eleven. Dungeons are arguably the most satisfying part of Tokyo Xanadu. Between story segments, Kou and a team of two other characters tackle Eclipse labyrinths that vary in size but typically not in complexity, as most are simply a series of hallways with an occasional “hit the switch to open the door” puzzle. These zones are patrolled by Shado—er, “Greeds”—with elemental attributes that corresponding characters can exploit for bonus damage. Combat is standard action RPG fare, with quick jabs, aerial moves, and charge attacks, and while only one character is displayed on-screen at a time, the player can quickly swap between them with the press of a button. It’s speedy, but not as fluid or nuanced as Ys, and feels a little heavier than I’d like; at the very least, each party member has a distinct playstyle and, later on, access to several elemental attributes that permit substantial customization in terms of party configuration. It’s a shame, then, that the gameplay-to-story ratio is so tilted in favor of the latter, considering that it’s the weakest part of the package. 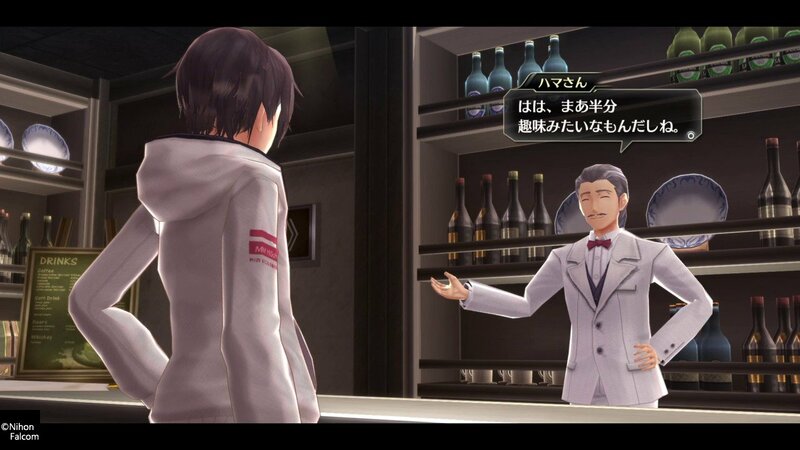 I guarantee that if you’ve played any Japanese RPG in the last decade, particularly those that directly inspired Tokyo Xanadu, you’ve already seen everything it has to offer in terms of narrative. 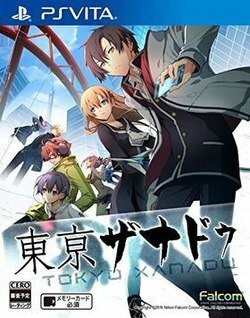 I can overlook tired clichés if it means an eventual subversion of those tropes, but Tokyo Xanadu has virtually nothing beneath the surface. Every character is more or less exactly who you think they are, and spouts the same generic sorts of commentary in every situation. Genius programmer and loner Yuuki makes everything into a video game reference, for instance, while reformed delinquent Shio can’t go two seconds without talking about “igniting his fire.” Because he used to head up a Robin Hood-style gang called BLAZE. Yeah. Dude knows his brand, at least. The game’s localization is also wildly inconsistent, with a surprising amount of typos, fixed-width character errors, and proper nouns that frequently change without warning: Is it “Tokyo Twilight Calamity” or “Tokyo Dusk Disaster”? “Affinity shard” or “Infinity shard”? There are some genuinely good lines here and there, but they’re hard to appreciate with how awkward the writing is on the whole. I was truly disappointed by Tokyo Xanadu because I know precisely what Nihon Falcom is capable of. It’s a derivative action RPG that tries so hard to leverage the popularity of Persona that it never succeeds in establishing its own identity. At the very least, I’ve had its excellent, electronic soundtrack in my library for something like two years now, and my ho-hum experience with the game itself hasn’t dampened my enthusiasm for its music. Tokyo Xanadu isn’t an outright bad game, but it’s Falcom’s weakest and safest effort by a mile.